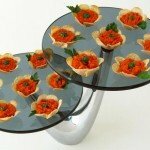 March 15, 2011 By This post may contain affiliate links. 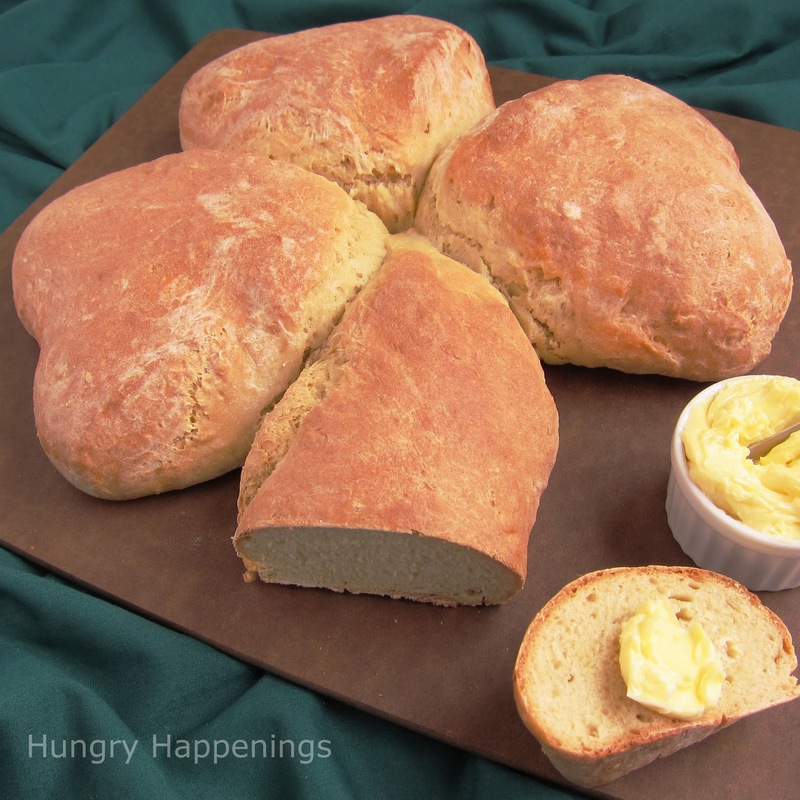 If you’re looking for a traditional recipe to make on St. Patrick’s Day look no further! 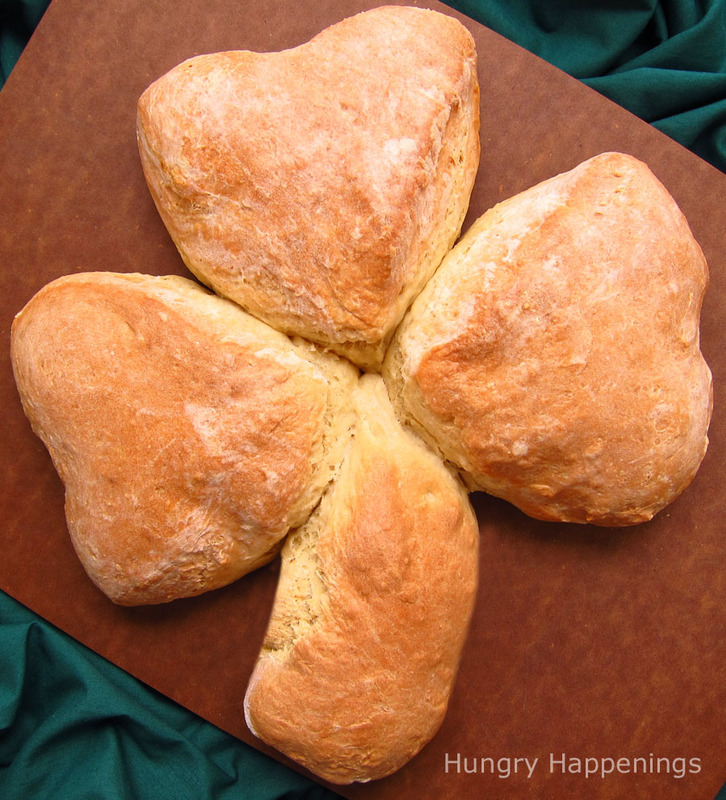 This Irish Soda Bread Shamrock Recipe is the perfect recipe because its so simple to make and so delicious to eat! Growing up with a head full of curly red locks and a face spotted with freckles, people were always asking if I was of Irish descent. My Nana (grandma) was Irish and very proudly so, but my gene for the vibrant colored hair came from my Polish grandfather. The freckles, however, were directly linked to Nana who always told me these spots were angel kisses and that I must be very special to have been kissed so many times. Lucky me! I always knew she was full of blarney. At home we celebrated St. Patrick’s Day with traditional Irish food and had a few handmade decorations hanging on the fridge. At the small Catholic school I attended, celebrating a saint was always a big deal. In the second grade, our class put on the annual production called “Hats off to Ireland” and I was chosen to dance an Irish jig with some fellow students. I still remember that little dance and some of the songs we sang like “When Irish Eyes are Smiling” and the “Irish Lullaby,” but what I remember most was dressing up in a crepe paper skirt and a shamrock covered hat. Cute, huh? 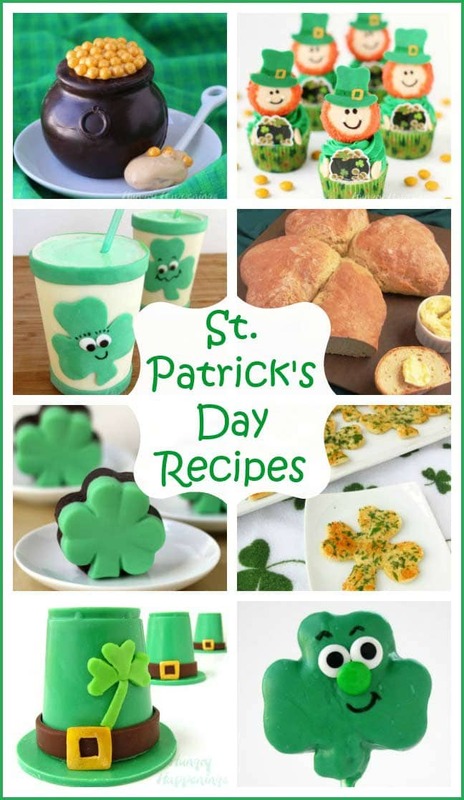 The Shamrock is the trademark of Ireland and is the most widely used symbol for St. Patrick’s Day, so what is more befitting this occasion than an Irish recipe transformed into an Irish symbol. My go to bread recipe happens to be for Irish Soda Bread as it only requires four ingredients and takes just a few minutes to prepare. This bread is rather dense compared to one made with yeast, but I find that this bread’s crisp exterior has a nice chew and is quite complimentary to the moist interior. The flavor is mild and can be enjoyed with or without butter and is wonderful dipped in the broth of Irish stew. I found it rather easy to shape this bread into a shamrock by using a heart shaped cookie cutter but I’m sure you can shape it by hand as well. Pour 4 cups of flour into a large mixing bowl. Add baking soda and salt and stir with a fork to combine. Add 2 cups of buttermilk and stir with a fork until well blended. Sprinkle remaining 1/4 flour onto work surface. Pour dough out onto work surface. Knead dough, working in flour as needed, for about one minute until dough is no longer sticky and forms a smooth round ball. Divide dough into 4 pieces. Cover baking sheet with a piece of non-stick aluminum foil. Spray the inside of the heart shaped cookie cutter with cooking spray. Set cutter in the center top of the baking sheet. Press one piece of dough into heart cutter. Remove cutter and spray it again with cooking spray. Place heart cutter with the point facing into the center just below and to the left of the first dough heart. Press a piece of dough into the cutter. Remove the cutter and spray again with cooking spray. Set cutter below the middle heart on the right side. Press a piece of dough into the cutter. Remove cutter. Press your finger against the indent in each heart to make the groove a little wider and deeper. Roll 4th piece of dough into a log and shape into the shamrock stem – pointed at the top and wider at the bottom. Place the pointed end in between the three hearts and curve the bottom to one side. Brush remaining 2 teaspoons of buttermilk over the surface of the dough. Bake for 20 minutes then rotate pan 180 degrees to ensure even browning of the bread. Bake for an additional 18-22 minutes until crust is a deep golden brown. Allow to cool for one hour before serving. Store in an airtight container for up to 3 days. Thanks Christine. 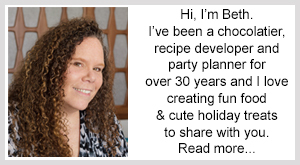 I hope you enjoy making some of my fun recipes. 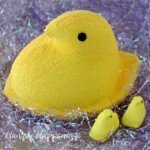 I visited your site, and your hats are sooooooooo adorable. I just love the ice cream hat. Very creative. How cute! My kids will love it!. 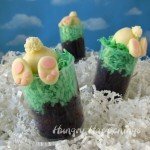 I am having a link party featuring bread made from food storage ingredients and I would love it if you would link up this recipe. Thanks Heather. 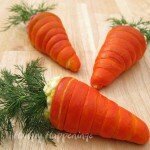 I linked my recipe on your blog. Thanks for allowing me to share the recipe with your readers. This is awesome! 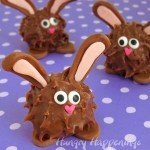 Great idea and thank you for the recipe! 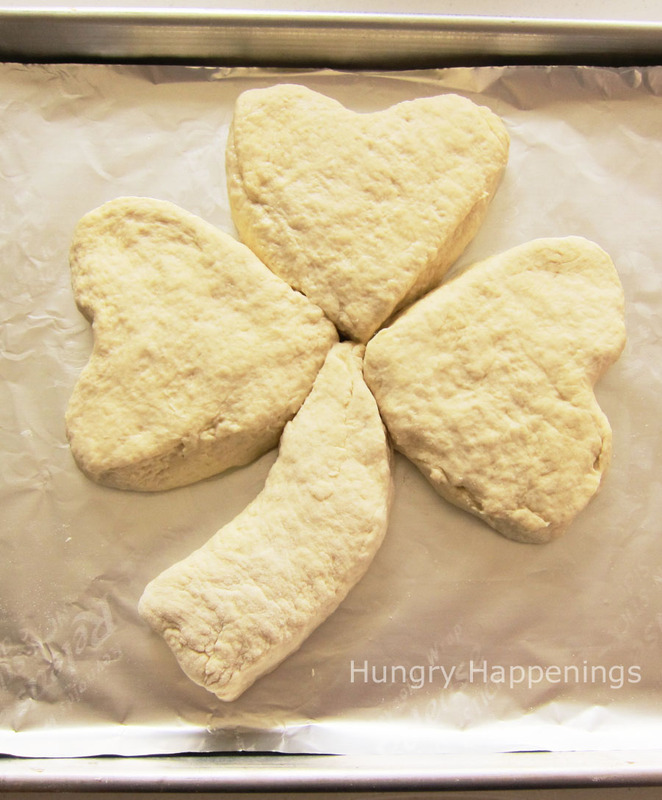 You have some great St. Patty's Day projects on your blog. I hope you will stop by and link them up on my St. Patty's Day Project Parade. Awwww this is great!!!!! I LOVE Irish Soda bread, and this looks so beautiful and festive, I love it! I had to laugh at your crepe paper skirt. I've been looking for big sheets of crepe paper for a couple years now & all they sell are the rolls of 3 or 4" wide strips. We used to make a lot of things out of crepe paper. How times have changed? Being of Irish descent – I HAVE to ask…..they say your luck is in a four leaf clover, but I see way more three leaf clover things. Why is that? Enquiring minds would like to know. It was very sweet of your grandmother to tell you freckles are angel kisses. Ahhh….. Come on – it had to make you feel a little special. Thanks for the crepe paper/dance story. I haven't seen large rolls of crepe paper in many years. It really was a clever and inexpensive way for the parents to make the skirts for our show. 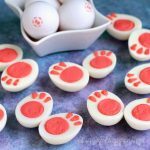 It's funny you say that about the clover, I tried to find a small four leaf clover cookie cutter to do a recipe, but had no luck at all. I guess like in real life, they are just hard to find!